We are quite fortunate in our family that nobody suffers from any obvious food allergies or intolerances. But I was surprised to learn that a significant proportion of people intolerant to dairy products were chiefly affected by a particular “A1” protein found in modern dairy cows’ milk. Step in A2 Milk who have developed a cow’s milk minus this troublesome protein allowing affected persons to enjoy milk and cook with it once more. As part of a partnership between A2 Milk and Great British Chefs I developed this recipe for mini lasagnes using A2 Milk but no other dairy products. I am rather fond of these red baking dishes – a birthday present from my mum from John Lewis – and as you can see they work out nicely for two adult and two childs’ portions at the same time. I’m sure you’ll see these cheery dishes on my site many times again. 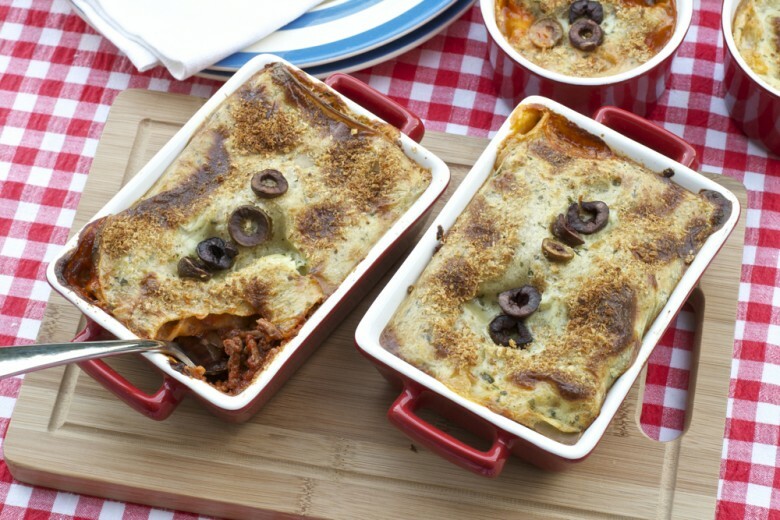 You can find out how to make these lasagnes in my post for Great British Chefs. These look lovely. Am definitely checking out the recipe! 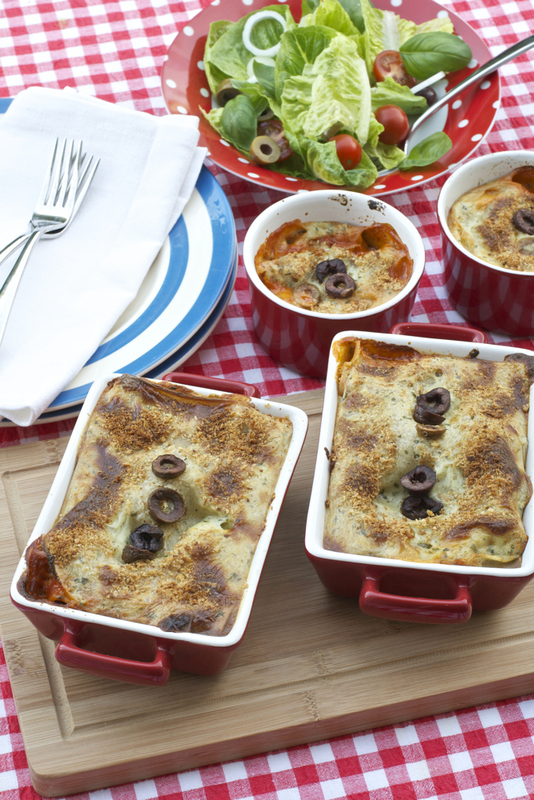 What a lovely recipe and your red dishes are perfect for these mini lasagnes. I hadn’t heard of A2 milk until now, always worth knowing about for anyone with a milk intolerance who might pop over! Nice, classic recipe and such cute dishes! Mine are all so higgeldy piggeldy. I have crockery envy!